Host a Private Party and Receive Your Readings Free! Would you like to hold a private psychic event with Norm at your location? 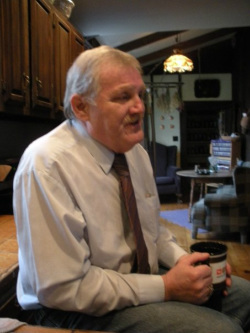 Norm has done many house parties and private gatherings. Contact him about reserving your own private psychic party. For a party of 8 to 10 people, the individual price for a reading reduces significantly with a group discount. Also, the host or hostess receives free readings at the party! Bookings should be at least one week in advance, and cancellations require a 48 hour notice. Norman Moody remains committed, and it shows through his longstanding example, to the animals, the homeless and the hungry.